This delightful unit was updated in 2005. 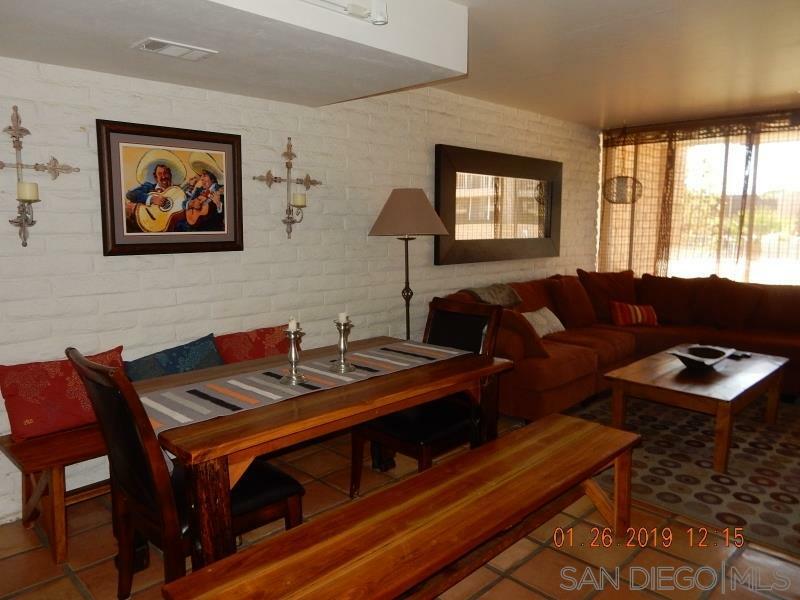 It has new wood cabinets, Colorful new tile counters in all 3 bathrooms and the kitchen. New furniture. Great Views of the surrounding mountains across the pool on the south east side of the complex and to the north. 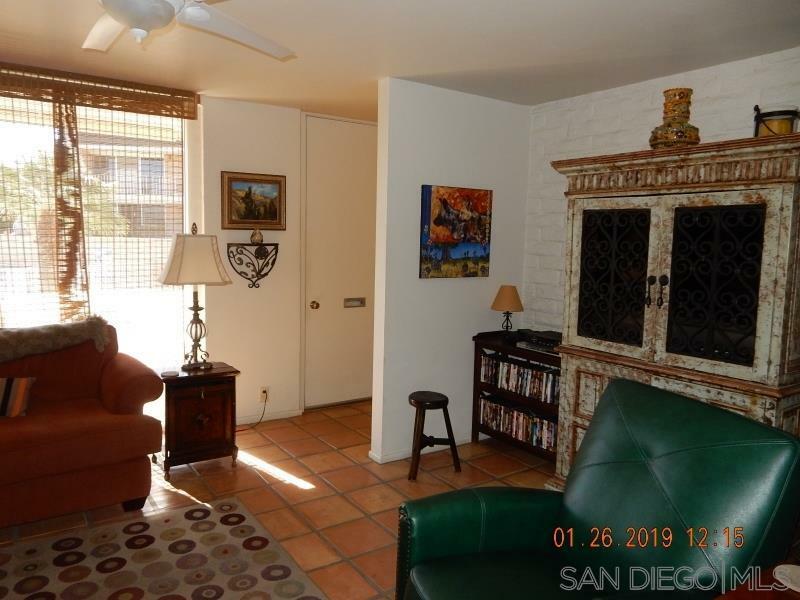 Short walk to the business area of Borrego with stores, library, and restaurants bank closeby. Unit is all decked out and very charming. 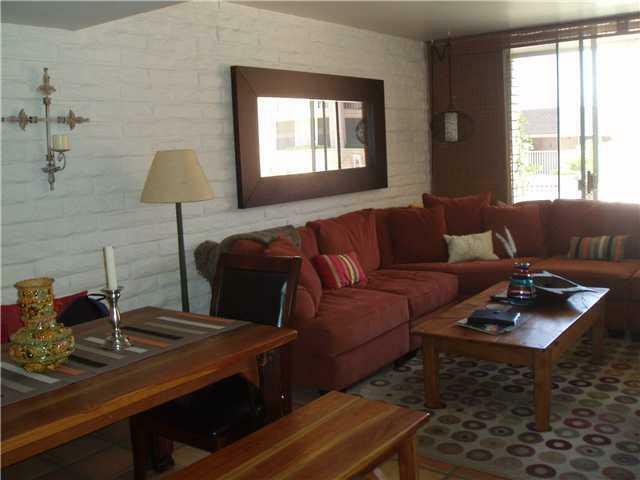 Come take a break from the crowded noisy city life and relax in Beautiful Borrego Springs! Borrego Springs is one of only a handful of International Dark Sky Communities in the world. Borrego Springs is located in the low desert in an unincorporated area of northeastern San Diego County. 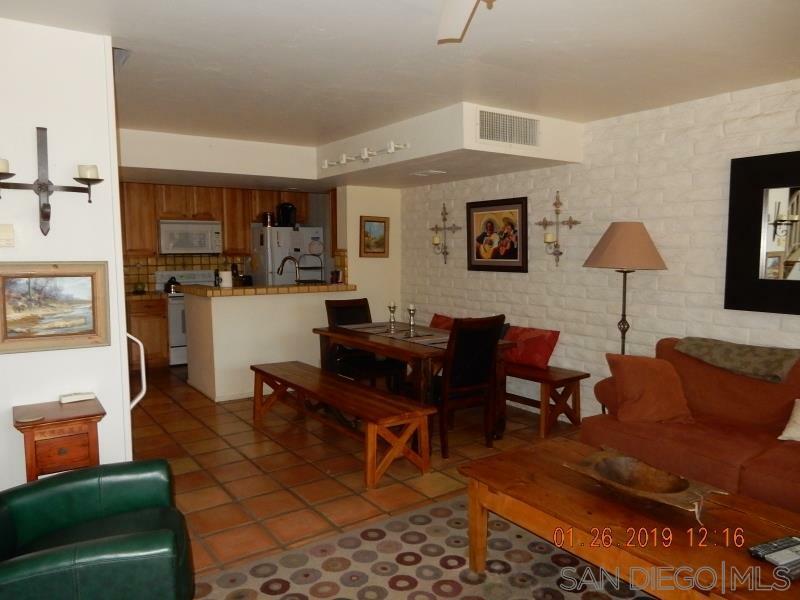 Less than a 2 hour drive from San Diego or Palm Springs. Borrego Springs is a village within a park, completely surrounded and protected by the Anza-Borrego State Park, is the largest desert state park in the contiguous United States with over 660,000 acres. This desert community is miles away from the nearest stoplight and we have no big box or chain stores. The slower uncomplicated pace and the scenic beauty, add to your rustic, authentic, desert experience. It is a special place, in all seasons. Activities include, nature walks, off-roading, hiking, biking, watching the wildlife, photography or star gazing. Active community for young and old alike in this small town atmosphere. The elevation of the Borrego Valley Airport is approximately 520'. The summers are very hot, the winters are wonderful, spring is delightful and fall is not too bad either.